A 30 minute documentary about American Sumi-e artist Michael Hofmann and his life in Kyoto, including his painting of a mural in a Zen temple. Master sumi-e painter Jikihara Gyokusei paints a mural in a Buddhist temple in Osaka, Japan. Commentary in English by his student and disciple Michael Hofmann. 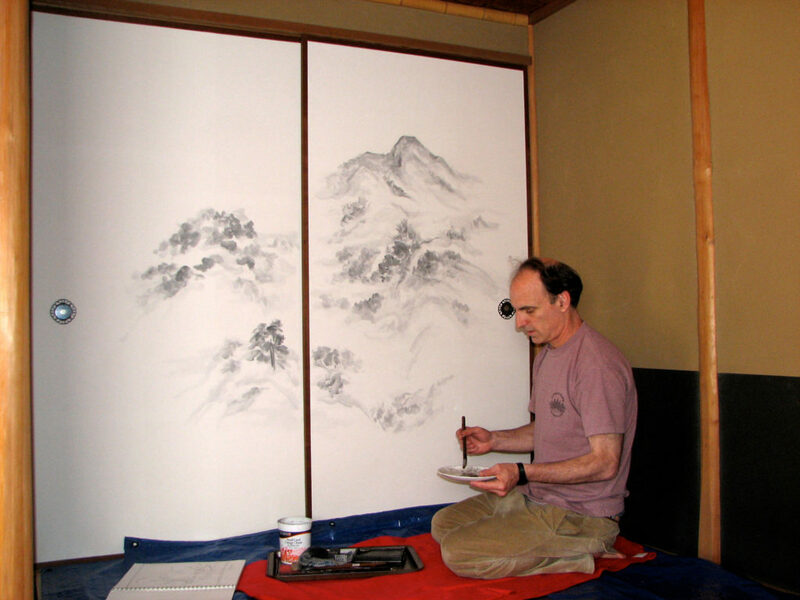 Painter Michael Hofmann reveals both the aesthetic technique and spiritual lessons learned from his long apprenticeship with Japanese master brush (sumi-e) painter and Zen priest Jikihara Gyokusei. Through a combination of slides and video, Hofmann shares inspiring moments of his life and studies in Kyoto, including footage of his 91-year-old teacher painting a large mural in a Japanese temple. Learn more about Michael Hofmann at his Wikipedia page.